Mike Peterson, PhD is a 2017 CCST Science & Technology Policy Fellow. Peterson received his PhD in Environmental Science, Policy, and Management at UC Berkeley, where he studied the biodiversity of rivers and the accumulation of toxic pollutants in wildlife. 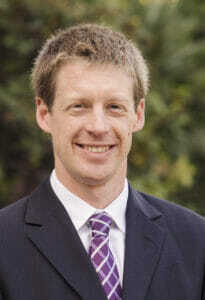 Peterson completed his MS in Environmental Science at Western Washington University, and his BA in Biology and Environmental Studies at Whitman College in Washington. 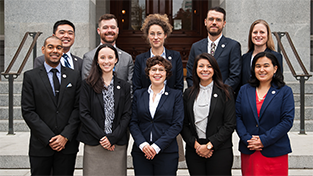 Peterson’s fellowship placement was with the California Senate Committee on Natural Resources and Water, and he has since been hired by the Office of Senator Ricarda Lara (D-Bell Gardens). 7:21 p.m., April 6th, 2017: 89 days into the legislative session; the California State Senate has just passed a major transportation bill, SB 1, by a vote of 27-13. The bill is swiftly on its way to the California State Assembly to also be voted on tonight. Senate staffers settle in to their office chairs to watch the Assembly take up the bill and vote. 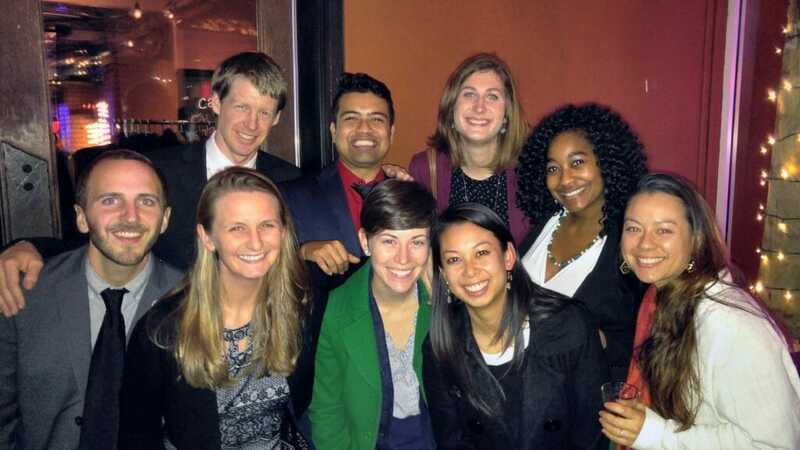 CCST Science Fellows Kristin Warren, a staffer for the Legislative Black Caucus, and Mikel Shybut, a staffer for the Senate Transportation and Housing Committee, are two of hundreds of staffers whose night of work remains to be complete. They walk to the Assembly floor chamber and stand in the back as the floor speeches begin. It is now 10:43 p.m., Kristin and Mikel are still standing in the Assembly chambers. The other CCST Science Fellows watch online from their offices or homes. The Assembly voting board reads 52 Aye, 26 Nay, two votes shy of passage, and has stayed that way for 10 minutes, and there is now palpable doubt about the outcome. The Governor’s lead staff is visible on the floor. The Senator who authored the bill stands calmly in the back of the chamber. Several more minutes pass — then dramatically, more “Aye” votes go up on the board, and the bill passes, 54-26. Staffers exhibiting that unique mixture of energy and exhaustion make their way for the exits, a sense of camaraderie in the air. The newspapers the next day carried the headline. 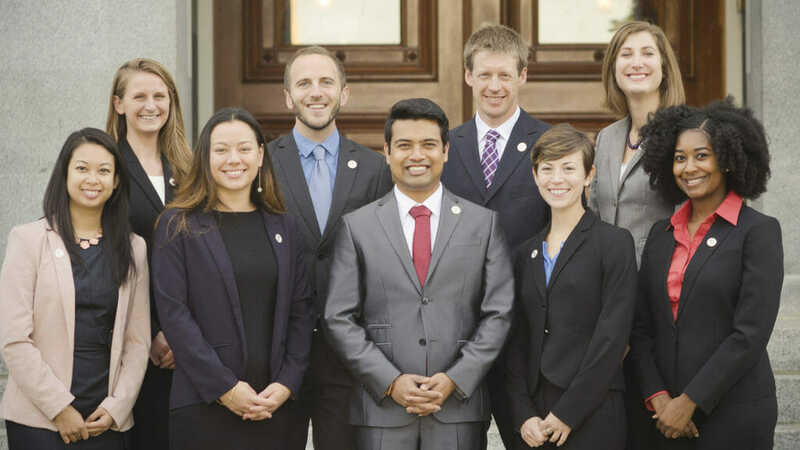 The 2017 CCST Science & Technology Policy Fellows. Front Row L-R: Bao-Ngoc Nguyen, Anna Reade, Bish Paul, Laura McWilliams, Kristin Warren. Back Row L-R: Julianne McCall, Mikel Shybut, Mike Peterson, Jen Chase. The passage of SB 1 was only the beginning of the battle for Kristin as she worked hours with the Legislative Counsel, Caltrans, and the Governor’s office on a SB 1 trailer bill. For Mikel, observing the passage of SB 1, which the Transportation and Housing Committee had worked on for years, was a precursor to still another bill — Regional Measure 3 (RM3), to address the San Francisco Bay Area’s congestion problems. The transportation package was the first late-night vote our 2017 Class took part in, but much had happened in the preceding 89 legislative days. April 6th was one day after Bish Paul had staffed his first bill, which intended to establish a State holiday on election day, in the Assembly Elections and Redistricting Committee. It was 35 days after Anna Reade staffed a 6-hour oversight hearing on regulations for pesticide-use in the vicinity of children. And it was 88 days since Kristin Warren had begun staffing her first resolution by walking ACR-5 — a resolution to honor Dr. Martin Luther King, Jr — down to the Assembly floor to start its journey. 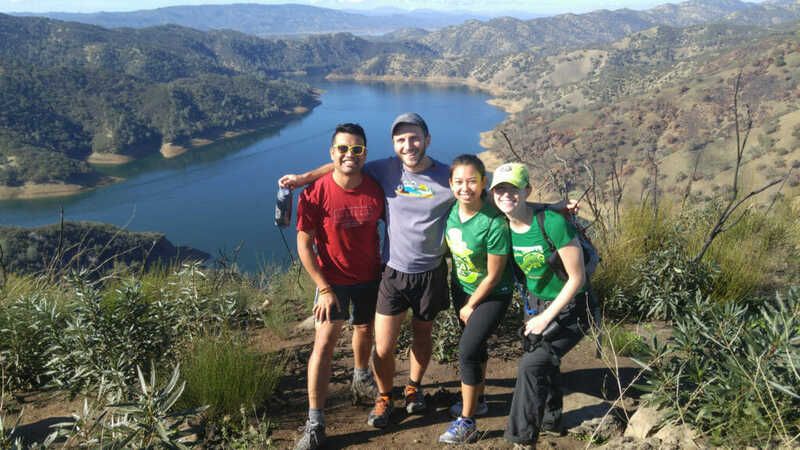 2017 CCST Science & Technology Policy Fellows Bish Paul, Mikel Shybut, Bao-Ngoc Nguyen, and Laura McWilliams explore the UC Stebbins Cold Canyon Reserve looking over Lake Berryessa. May 31st was circled on the legislative calendars from the day the bills landed on our desks. This was the deadline for bills to be passed out of the house of origin. It was to be another late night, as the big issues are often kept until last. Bills to replace the bail system and to move California to 100-percent renewable energy by 2045 received long floor speeches. Both bills pass the first house (and both would stall in the second and would have to wait for 2018). June and July roared like a California Golden Bear; high temperatures scorched Sacramento. Bills that passed their first house now begin to move through committees in the second. A common challenge of many staffers in the Legislature is the lack of dedicated time for deep research on broad areas of governance. Yet, Julianne McCall was privilege to such time during the summer by the nature of her placement at the Senate Office of Research (SOR), an office tasked to assess specific policy issues at the request of legislators. We didn’t know it then, but Julianne would be hired on staff by SOR at the conclusion of the fellowship year! Summer also brought moments to pick up a torch laid down by past CCST Science Fellows. Policy issues can frequently re-emerge and may take several tries to become law. In the Senate Natural Resources and Water Committee, Mike Peterson became the third Science Fellow to analyze a bill that addressed the tension between hiking trails and endangered wildlife. In the Senate Environmental Quality Committee, Anna Reade became the fourth Science Fellow to analyze a bill focused on the safety of certain strategies for treating the bodies of the deceased. Both bills became law this year, and each bears some fingerprints from multiple Science Fellows over the years. And at the end of July, despite earlier setbacks, the California State Legislature extended the state’s cap-and-trade program with a revised bill that received some bipartisan support in both houses. August 21st, 2017: It was the first day back to session after a three-week recess and the first day of the three-week sprint to the end of the legislative year. But more importantly, thanks to the combination of astrophysics and Laura McWilliams, the day was one of community and astronomy with the 2017 North American eclipse. At 10:30 a.m., we found ourselves outside the State Capitol amongst 3,000 people staring at the sky. If you looked right and left, you saw Senators, Assemblymembers, chiefs of staff, kids, the public, all sharing eclipse glasses, smiling, and talking about our moon and the sun. Laura McWilliams was lead staffer for this solar eclipse watch party. 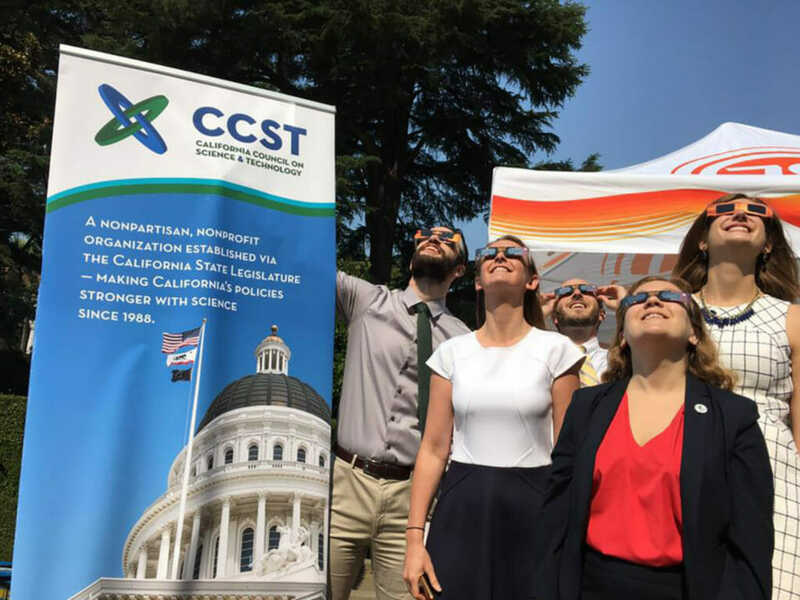 She and her colleagues took this moment to create an exceptional Capitol event — one that included partnerships with CCST, the California Public Utilities Commission, and NASA, a gaggle of press, and well-chosen speakers to note the occasion. The celestial concurrence cast a moment of calm and camaraderie among those who work in the Capitol. 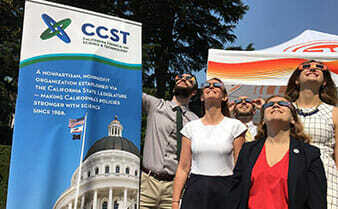 Current and former CCST Science & Technology Policy Fellows observe the 2017 August solar eclipse at the California State Capitol. 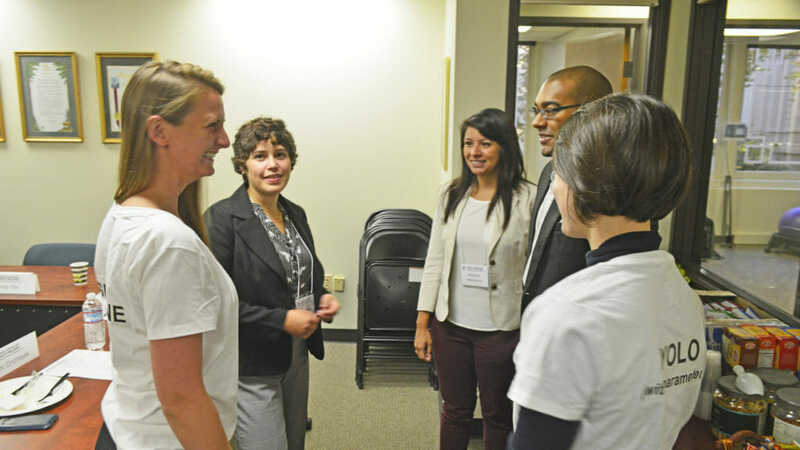 Pictured: John Thompson, PhD, Julianne McCall, PhD, Mikel Shybut, PhD, Christine Casey, PhD, and Jen Chase, PhD. September 15: Second-house deadline. The last day of the legislative year was a flurry of activity, as the Senate and Assembly volleyed bills back and forth, some passing with gusto, others awaiting their turn. Jen Chase spent the last weeks of session in a full sprint staffing a high-profile internet privacy bill. This bill entered the final week with last-minute amendments, rule waivers, and dozens of meetings with staff from both houses. Up until the early morning hours of September 16th, the bill was still in play, having passed the Assembly, but not yet taken up by the Senate. The last night of the year, came and went, without taking up this internet privacy bill for a floor vote. Its next chapter will have to wait for 2018. October: It’s not over until the Governor’s done with his veto pen. 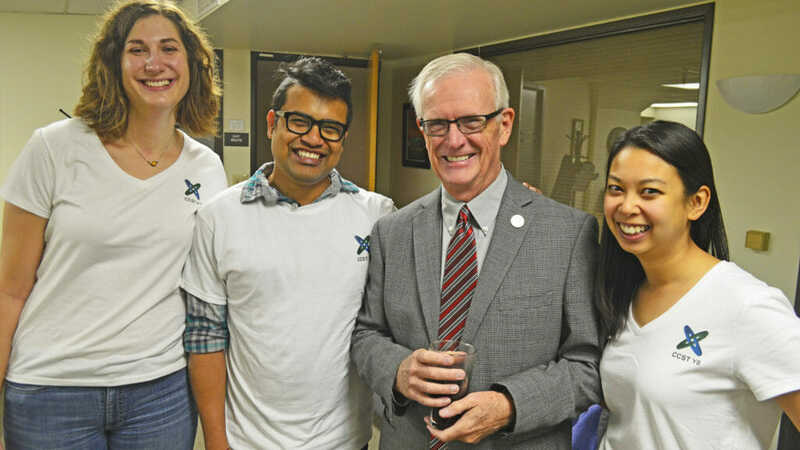 In 2017, the Governor vetoed 11-percent of bills that made it to his desk, but not one staffed by Bao Nguyen in the Senate Health Committee, where she shepherded a bill on regenerative medicine through the legislative process. Regenerative medicine is a timely issue in California because new medical advances have created new regulatory and public safety challenges, and this bill provides safeguards to warn patients against non-FDA approved treatments. And among the many other legislation signed into law, there was a bill analyzed by Bish Paul that will affect us all in the future: the move of California’s primary elections from June to March. 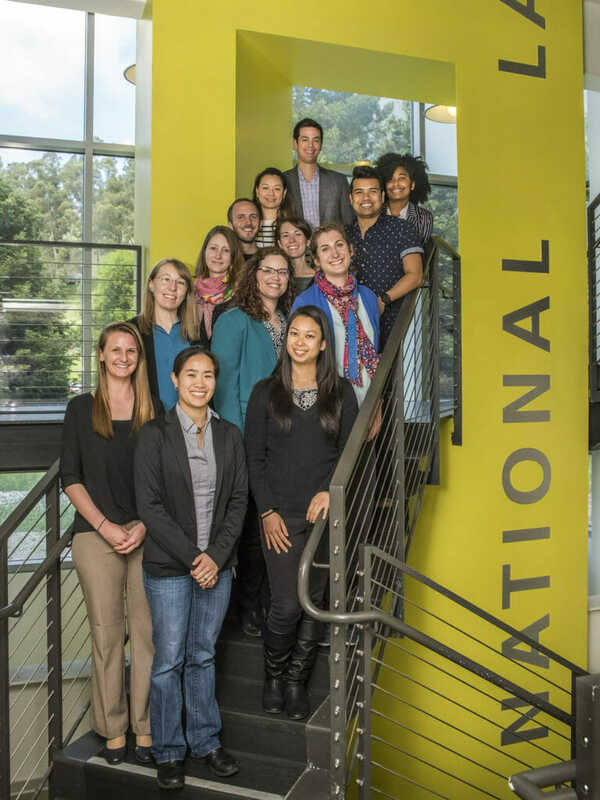 The 2017 Class of CCST Science & Technology Policy Fellows. Front row L-R: Mikel Shybut, Julianne McCall, Laura McWilliams, Bao-Ngoc Nguyen, Anna Reade. Back row L-R: Mike Peterson, Bish Paul, Jen Chase, Kristin Warren. November 1st: It began in 1850 as a meeting of miners and ranchers, farmers and business owners to write a state constitution in Monterey. But today, in its 167th year, the California State Legislature represents nearly 40 million people. In 2017, this Legislature extended the cap and trade program, approved bonds for parks and for housing that are now up to voters, and established new transportation funding mechanisms. Bills that made it only partially through the Legislature this year have the potential to be passed next year. Ideas and issues that have been discussed for decades continue to be debated. For us 2017 CCST Science Fellows, it has been a rich, rewarding year, one that brought us exciting new colleagues and friends. Our time in the Capitol may have been a blip over the grand history of California, but for the nine of us, every minute, moment, and memory have shaped us for a lifetime. And now, we pass the baton. 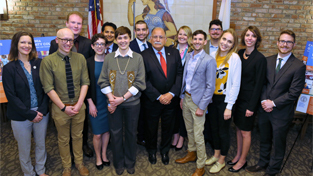 The 2017 CCST Science & Technology Policy Fellows make a surprise visit to the opening day of orientation for the 2018 Class. 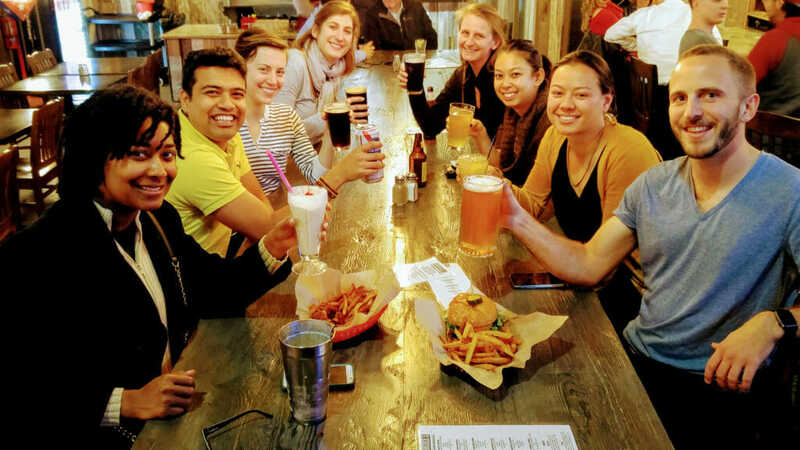 Cheers on a great year, 2017 CCST Science Fellows!